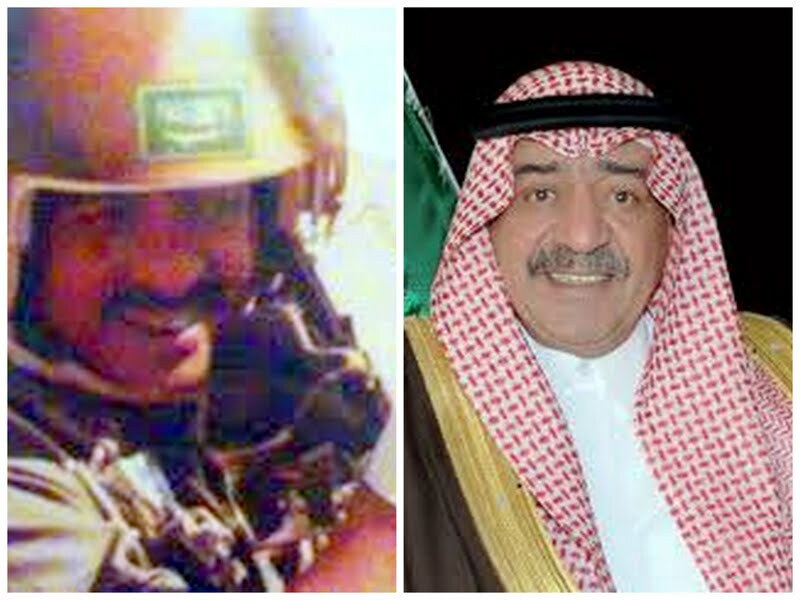 Prince Muqrin bin Abdulaziz, 67, is the youngest surviving son of King Abdulaziz, the first monarch of Saudi Arabia. Last Friday, reigning monarch King Abdullah named him the kingdom’s second deputy prime minister. As such, Prince Muqrin effectively becomes second in the line of succession to the Saudi throne. I [Fahd Amer al-Ahmadi] had the privilege to work for HRH Prince Muqrin as Director of Information in the six years he served as Governor of Medina Province, starting in November 1999. I discovered Prince Muqrin is not only cultured and well-read but a walking encyclopedia. He has a sizeable and personal library packed with books and materials on unthinkable subjects. I recall once being in a waiting room at the prince’s palace right next to the library. I could make out the titles of some volumes at one of the bookshelves – until Prince Muqrin walked in smiling. He said, “Don’t waste your time. There’s nothing there that would interest you. They’re all about plant pathology.” This confirmed to me what I had heard about Prince Muqrin’s love of agronomy, in addition to his own involvement in farming. At times, Prince Muqrin would read articles I had prepared for publication. He would often correct them. On one occasion, he called me in to discuss a piece I had published about the U.S. moon landing conspiracy theories. When I was about to take leave, he pulled out an unlabeled video and asked me to watch it overnight and return it to him the next morning without fail, which of course I did. The video was a mockumentary called “Dark Side of the Moon.” I wished I had watched it before writing my piece. Prince Muqrin is multilingual and well traveled. His knowledge of foreign countries astounded ambassadors, consuls and heads of missions who flocked to Medina City during the hajj season. He knew the names of streets and landmarks in practically every other city. In addition to agronomy, Prince Muqrin adores aviation, astrology, e-management and business automation. After all, he studied at the Riyadh Model Institute and then went to Britain’s Royal Air Force College in Cranwell for his 1968 degree in aeronautics with the rank of flight lieutenant. He was named commander of the Royal Saudi Air Force’s 2nd Air Squadron in 1970. Four years later, he received the equivalent of a Masters degree in aeronautics from the stateside Air Command Staff and Command College. By 1980, Prince Muqrin was serving with the RSAF as head of operations and planning. The love of flying, paragliding and air shows has never left him. Nor has his passion for astrology. His collection of books, manuscripts, charts and specialized periodicals on astrology is impressive indeed. But he parted with his state of the art telescope and its accessories, when he donated the lot to a university near his residence. If you asked me about his most salient quality, I would say without hesitation: his punctuality. I have yet to meet someone as punctual. This denotes several other qualities, including respect of deadlines, a high standard of work ethics, appreciation of staff workers and loads of self-discipline. He disdained, for instance, the idea of time punch clocks for his staff. Like him, his staff didn’t need them. I believe Prince Muqrin is more punctual than a Swiss watch. I don’t remember him ever being late for work or an appointment. Prince Muqrin started introducing and promoting e-government and the use of information technology to overcome the physical bounds of traditional paperwork in Medina City, putting great emphasis on digital equipment and on-the-job training. He would also buy e-management magazines for staff. He was perhaps the first in Saudi Arabia to have read Steve Covey’s 1989 book, “The Seven Habits of Highly Effective People,” before its translation into Arabic. Prince Muqrin believes in taking advice from experts. I once wrote an article titled “We want a children rights association,” in which I cited cases of violence against children. He called me in the next morning. I thought he would upbraid me. Instead, he told me he was summoning the chiefs of justice, police, education and civil rights. He wanted me to call consultants from the Children’s Hospital who could attest the violence and ask them to join the meeting. The gathering ended with the establishment of the first Saudi commission for child protection. Before the return visit became due, a royal decree in late 2005 named Prince Muqrin chief of intelligence, a position he held until last July. Iran proxies growl: Hands off Assad!